Specials on board include a glass of champagne or 1st glass of champagne added to any breakfast for $2.00. We proudly serve fresh squeezed orange juice. All egg breakfasts served with toast & choice of homemade hashbrown casserole, homefries, grits or sliced tomatoes. Served with toast & choice of homemade hashbrown casserole, homefries, grits or sliced tomatoes. Fresh spinach, feta, tomato & onion. Tomato, green pepper, onion, mushrooms & cheese. Sausage, green peppers & onion. Includes one meat or seafood. $1 extra charge for an additional protein. Add two additional proteins for $2. Grilled and served with choice of toast. Any side may be substituted for grits. New! Blackened with our T.J. salsa and served on top of creamy grits with Cheddar Jack cheese and choice of toast. New! Two Eggs, two bacon, two sausage links, two slices of French toast with homemade hashbrown casserole and sliced tomatoes. No substitutions please! "Yuuuummy!" Texas toast topped with corned beef hash, two eggs and hollandaise, garnished with tomato. With a side of citrus salad. New! With a side of citrus salad. Fresh pita bread filled with two eggs scrambled, cheese, tomato & mayo along with your choice of Steak, Bacon, Sausage, Canadian Bacon, Ham or Veggies (tomato, onions, mushrooms, green peppers). Choice of homemade hashbrown casserole, homefries, grits or sliced tomatoes. Two biscuits cut in half. Texas style served with syrup, butter & powdered sugar. Plain with butter & syrup on side. Natural Berry blend and topped with whipped cream. Eat Well, Laugh Often, Live Long! 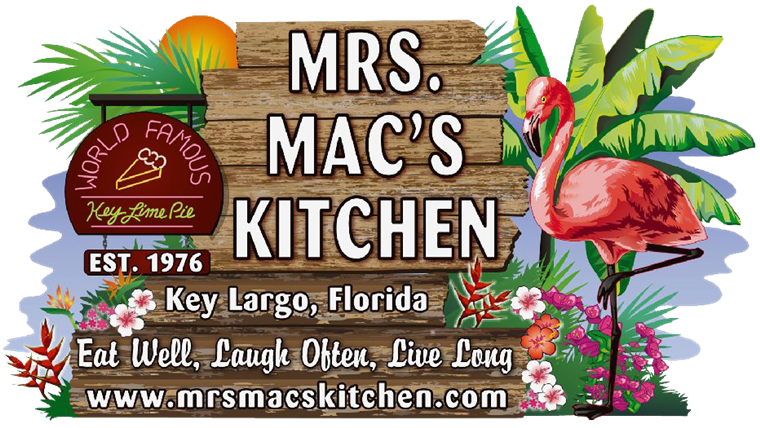 Mrs. Mac's Champagne Breakfast is Served from 7 a.m. to 11 a.m. everyday yeah! A great way to start any day. Angie's secret recipe.